The 3rd annual Scarecrow Festival is on its way! We have had such fun the last two years, we decided to do it all over again! This year, we’re going to get the scarecrows in place the weekend before the Olympic flame goes through York, and so there is an additional challenge – can we make scarecrows with a sporting flavour? 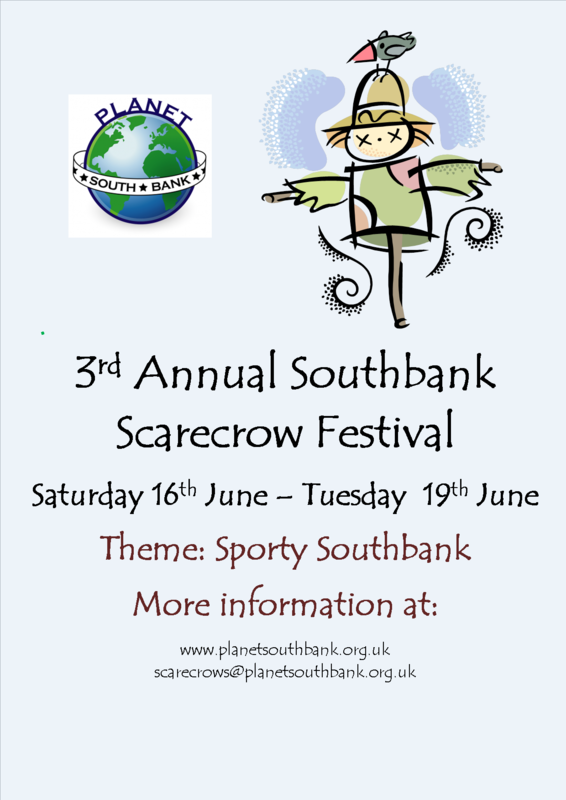 Any one in the South Bank area is welcome to join in – we had 50 last year, and it would be great to have more. More details are available on the leaflet.